Planning a party can be tons of fun, but it also requires proper preparation in order to get it just right! Especially if you’re planning an event on a larger scale, you’re going to need to organise more than just a few party plates and balloons. A big party needs much more thought putting into it to create the perfect atmosphere and ambience, which is why there are a few factors to consider tweaking so they’re tailored to the type of event you’re trying to host. 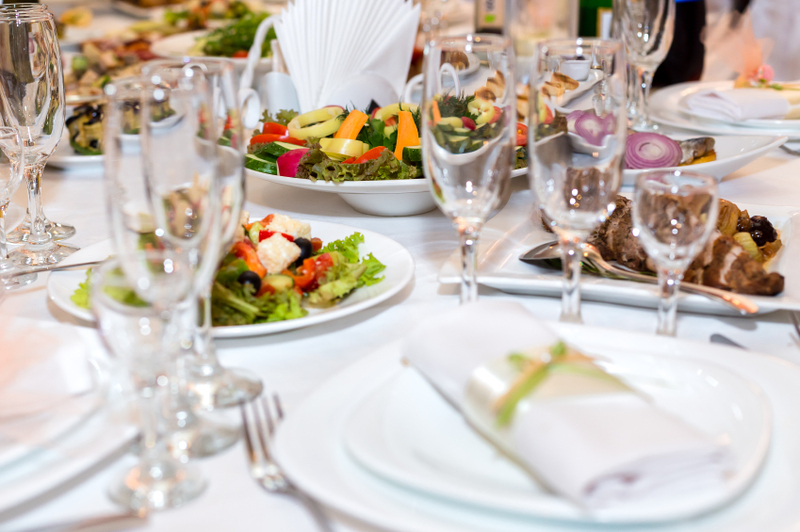 Depending on your venue and how your function room is set out, you can either have a formal sit down meal with dressed tables, or a buffet which automatically sets a more informal tone to your party. A more formal event might call for a three course meal with traditional recipes on the menu, however if you’re planning an event in the afternoon, then perhaps an afternoon tea-style menu would be more suited! An afternoon tea is still reasonably formal, but the small finger food such as delicate sandwiches and cakes suggest a more relaxed atmosphere. Lighting can do a lot to set the mood in a room, as low lighting suggests a more intimate setting which would be ideal for a wedding or a prom. Having low, glowing lights from lanterns or a fairy light canopy would give a room the perfect finish and would be suited to an evening do where you can really appreciate the romantic lighting. 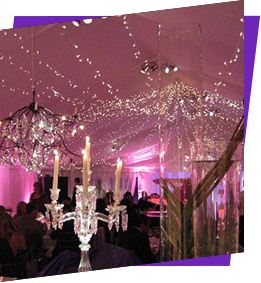 However, you can create a completely different setting with stage lighting and uplighters which will create the perfect party room! 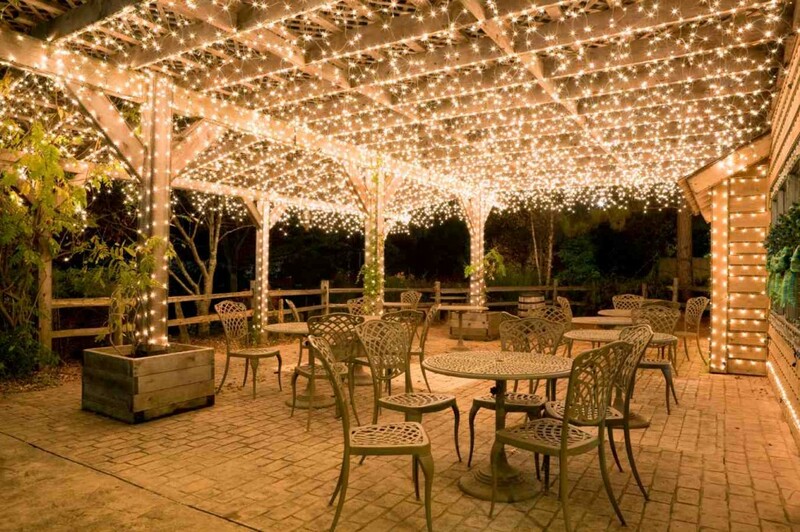 This type of lighting can look extremely impressive and will leave guests astounded and feeling like there’s a concert taking place at your party. Music is important at a party – it provides a pleasant backing to break up the din of chattering guests, and can be turned up a notch at the pinnacle moment of your party. 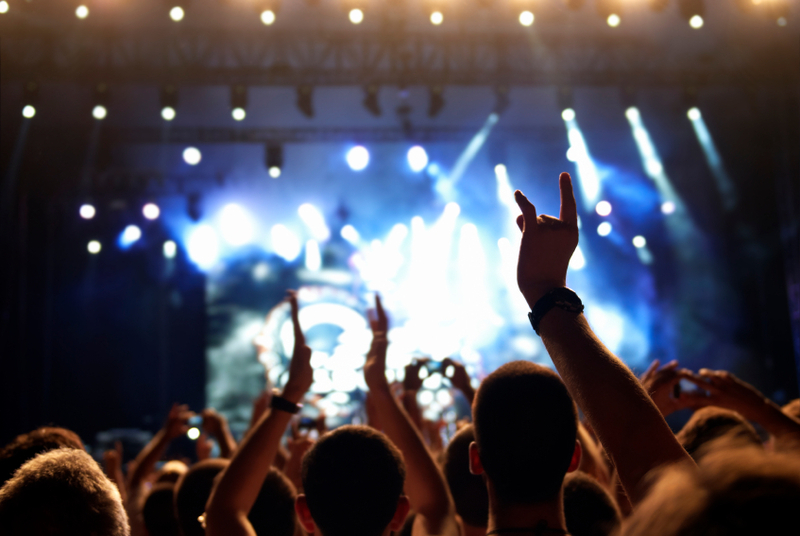 Again, it’s vital to choose genres that are fitting to your event, as well making the decision to either have a DJ playing popular tracks, or a live band or singer as your musical entertainment. A charity ball, for example, might call for a live jazz band to suit the ages of all the guests in attendance, whereas singers with instrumental accompaniment covering tracks in the charts might be better for younger guests. At Monitor Lighting, we’re experts in helping you set the right theme for your event, and can provide various kinds of lighting to illuminate your night. If you have any enquiries about our services, then feel free to get in touch today at 07950 729708, otherwise you can find us on Twitter, Google Plus and Facebook.